The Recognition of Prior Experience and Learning (RPL) is a process that potentially could give serving/retired police officers and staff academic credits for their previous experience and the courses or learning programmes they may have completed during their service. Use of the Credit Estimator through an easy to use stepped process will indicate to an individual police officer or staff member the likely number of academic credits they could get for their experience and learning programmes they have completed during their service. You do not need any log in or password details to access the Credit Estimator. 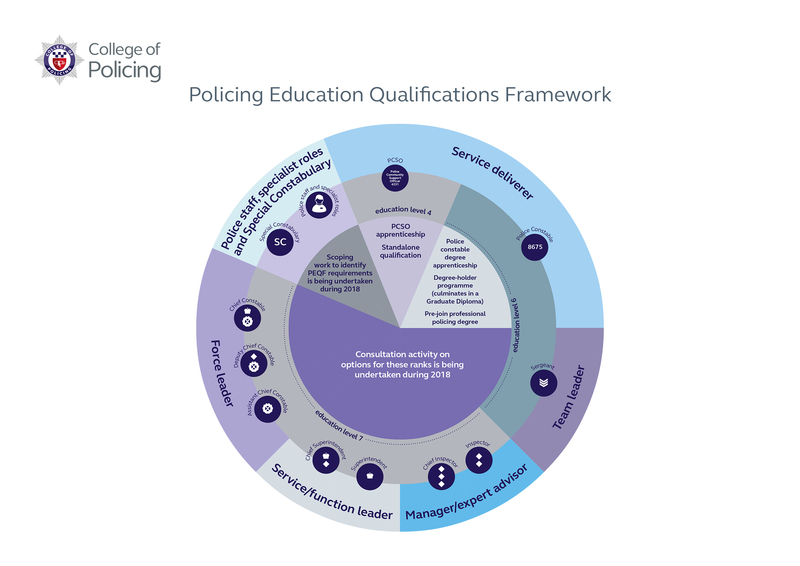 You can use the credits indication to help you achieve an academic qualification, which can benefit both you and your respective police service. The RPL process is a way of recognising an individual’s skills and experience and help them to access academic qualifications. The process could be utilised by both forces and individuals. An individual may decide they want to develop their skills and gain a qualification. They could use the RPL process to help them access a course or learning programme and approach their respective force to see what, if any, support they are able to provide. Respective forces may be able to take advantage of the RPL process to help identify and ultimately aim to fill a knowledge gap that exists. They may want to support a group of individual’s to complete a specific course or learning programme which they feel helps with the overall strategic aims of the organisation. Guidance has been created for individuals, forces and Higher Education Institutes (HEIs) to help them to better understand their part in the process and how they can support and encourage individuals to achieve academic qualifications. To obtain an overview of RPL click here for ‘RPL on a page’ which provides a quick reference guide to RPL (this will open in a new window in MS PowerPoint).